Below you can view all the homes for sale in the Riva Silverado Ranch subdivision located in Las Vegas Nevada. 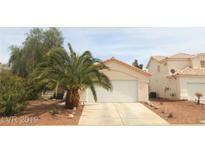 Listings in Riva Silverado Ranch are updated daily from data we receive from the Las Vegas multiple listing service. To learn more about any of these homes or to receive custom notifications when a new property is listed for sale in Riva Silverado Ranch, give us a call at 702-323-5939. Well priced in Silverado Ranch...Walking distance to shops and restaurants...1458 sq ft with 3 bedrooms and 2 baths...No carpet..whole house is tile and laminate floors..Vaulted ceilings..Family room with fireplace..Kitchen has tile counters and floors and center island..Spacious master..Nice sized yard with spa..Leased solar.. MLS#2083636. BHHS Nevada Properties.